They know that the strength and value of a community foundation is reflected in a strong and sustainable charitable sector. 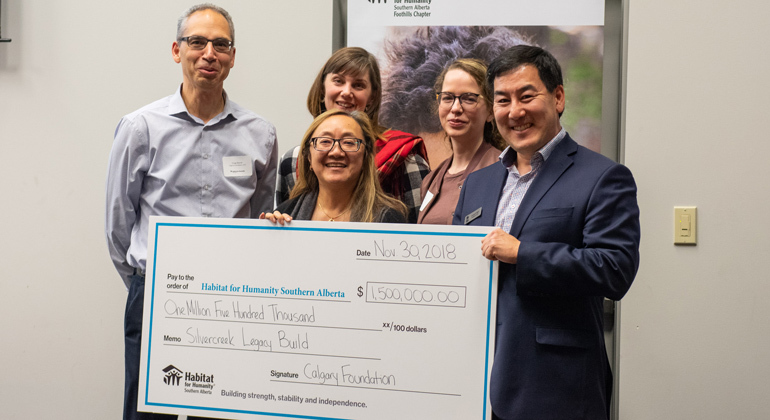 Calgary Foundation has put those values into action in a number of ways in Calgary and its surrounding communities, and for Habitat, this truly hit home with their $1.5 M investment in our Silvercreek Legacy Build. As Habitat’s largest-ever development in Calgary, this build will result in opportunities for 32 working families with children to buy their first home in the northwest community of Silver Springs. Partnering with Habitat aligns with the Foundation’s vital priorities, including community connections, mental health and well-being, and living standards. The Foundation recognizes the positive impact that affordable home ownership has on working families in our community. “We’re honoured to support Habitat for Humanity’s Silvercreek Legacy Build," said Eva Friesen, President & CEO of Calgary Foundation. Beyond financial security, Habitat homeowners have an opportunity to build meaningful and lasting connections in their new community. Bonding with neighbours is often a “first” for these families. When children don’t have to move and change schools, they may have a best friend for the very first time. In addition, while living with housing instability can cause chronic stress and impact mental health, home ownership can provide immediate relief from anxiety around affordability, frequent moves and personal safety. Habitat was honoured to receive this transformational gift through the Foundation’s Major & Signature Grants program. The committee, chaired by Patti Pon, focuses on supporting initiatives that impact the community and encourage participation from a large number of citizens. 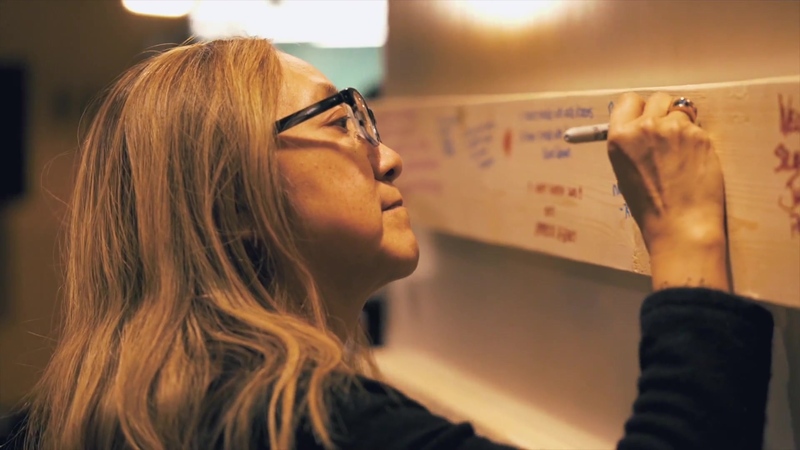 As the Community Engagement Champion for the Silvercreek Legacy Build, Calgary Foundation is paving the way for community participation on a considerable scale. Silvercreek will be the host site of several significant events, including Women Build, team Build Days, and Interfaith Build Days. Hundreds of volunteers are expected to contribute more than 80,000 hours to this build. Calgary Foundation staff and donors will also be participating in Build Days, providing hands-on leadership in addressing the affordable housing crisis in our community. These opportunities help to build community engagement and connection, as people with diverse backgrounds, skill sets and professions, are brought together to build alongside families as they build long-term stability through affordable home ownership. 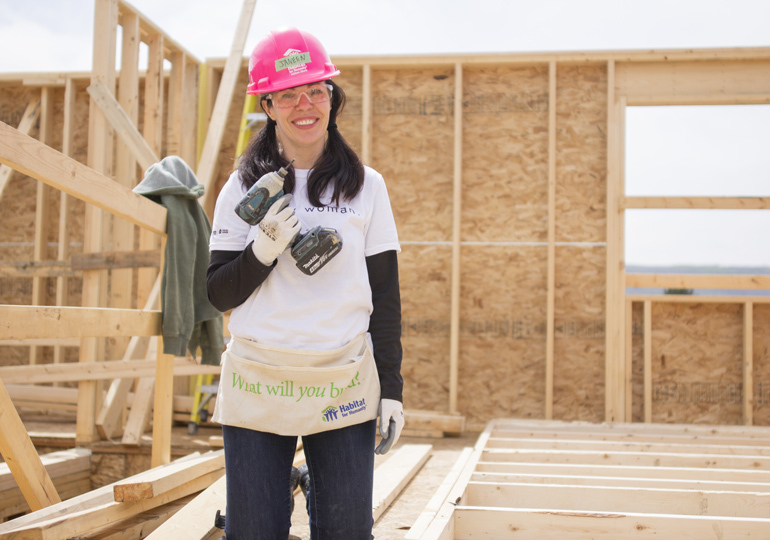 “Along with my colleagues at Calgary Foundation, participating in the Women Build day was a great experience.” says Janeen Webb, Director, Gifts and Donor Relations at Calgary Foundation. With experiences like these, Calgary Foundation’s support will have an impact on the community that will continue to be felt for generations.